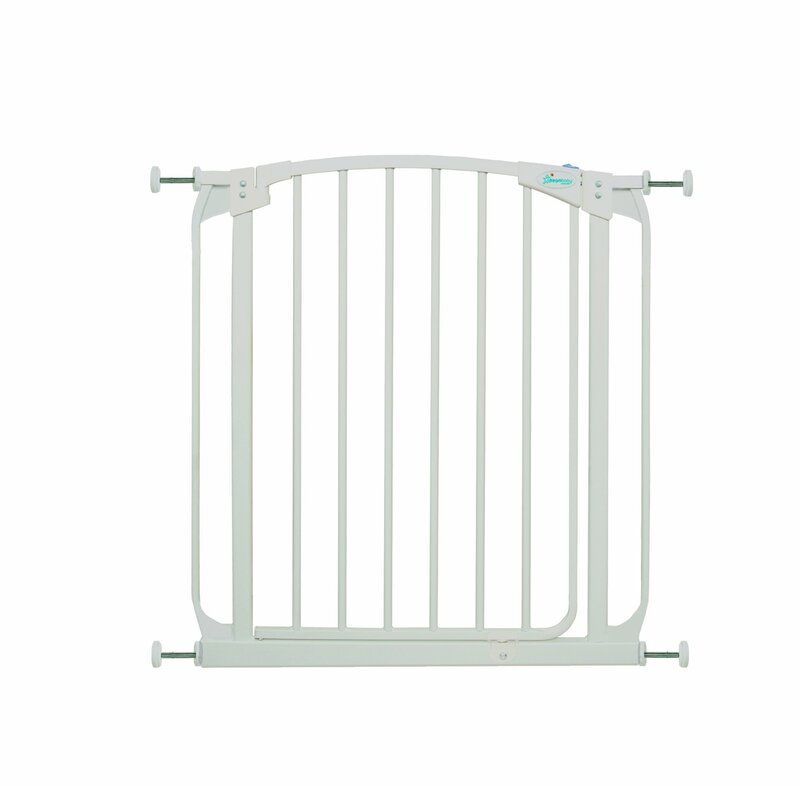 Dreambaby Auto Close Gate makes it so much easier to keep your children out of harms way. With auto close feature and its double locking system, this attractive pressure mounted gate is easy to install. Suitable for stairs also, you can feel peace of mind knowing your child is safer. Versatile indeed, it will fit openings of 28-32." Additional extensions sold separately for wider spaces up to 111." This Dreambaby pressure-mounted gate is easily installed and for most situations there is no need to screw holes into woodwork or walls unless used at the top of stairs where the mounting cups must be screwed in for added security. Great for pets too!